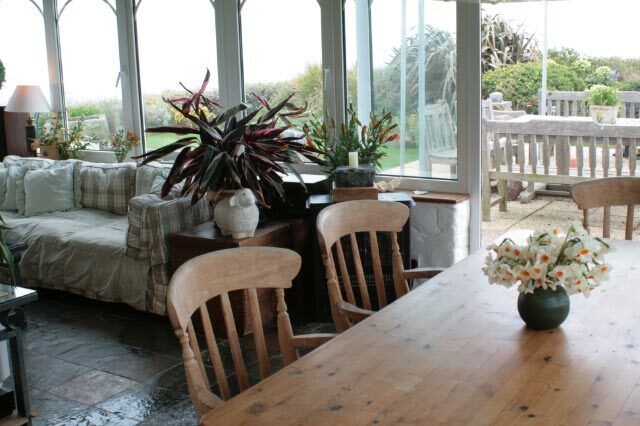 Welcome to Seabreeze B&B, a friendly, family run, Guernsey Tourist Board 4 star B & B with an award winning breakfast. Located on the cliff path at Jerbourg Point - where the cliff path joins the lane. This is a very quiet beautiful location, we are located right on the South Point and are the most southerly house on Guernsey!! There are only two houses beyond / behind us, and so there is no passing traffic - just the sounds of the sea birds as they circle over the cliffs and a few people out for a cliff walk or a picnic. Your hosts at Seabreeze are Maggie and Francis. In the garden lives our aged tortoise Timothy, who is actually a female but we didn’t know for 25 years so never changed her name! We live here year round and delight in welcoming guests throughout the year. Breakfast is served in the conservatory which has panoramic sea views or in the summer in fine weather outside on the terrace. From the garden of Seabreeze B&B you can see the islands of Sark, Brecqou, Jersey and Herm and on a clear day France too; people say it is one of the most magical locations they have ever stayed in - we have never found better either! The Auberge at Jerbourg, one of Guernsey’s best restaurants, is a 10 minute walk away and Hotel Jerbourg with bar meals/snacks and a restaurant is 5 minutes’ walk. 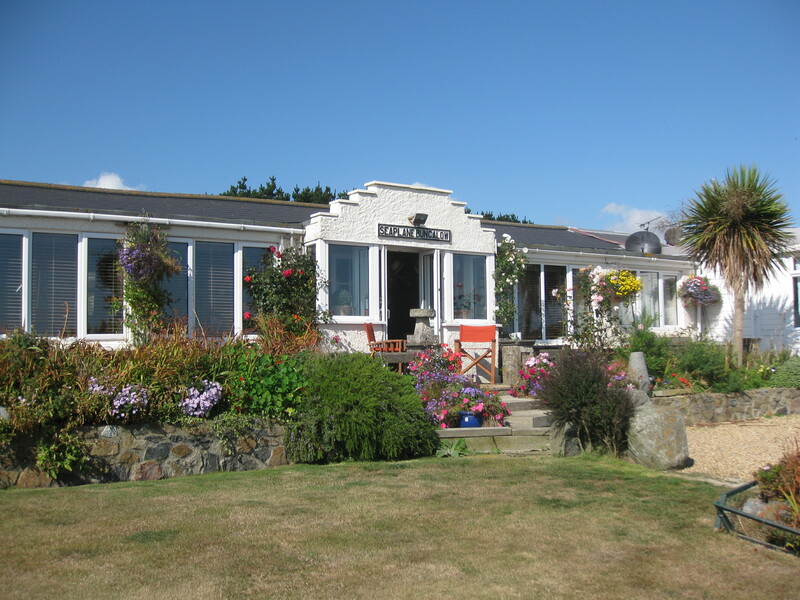 Fermain Beach Cafe has wonderful food and is a 30 minute walk along the cliff path. There is a bus stop 5 minutes’ walk down the lane where you can catch a bus into St Peter Port. Buses leave every 30 minutes and cost £1.00 pp each way.